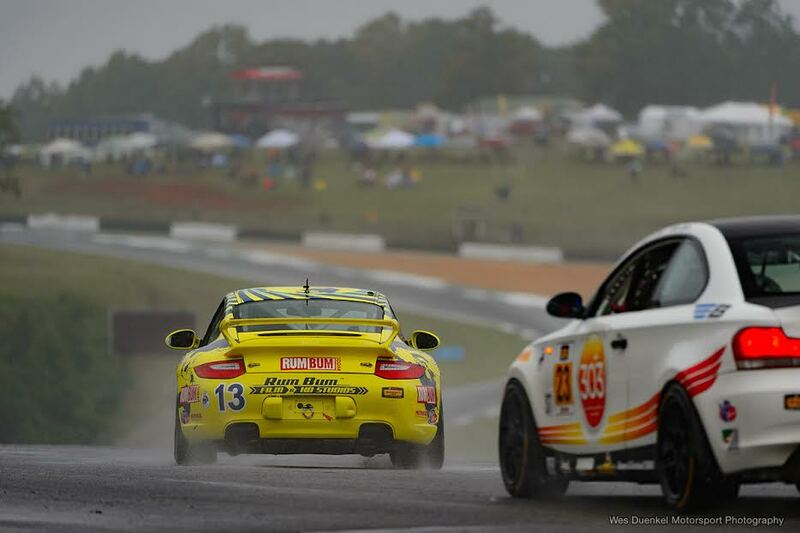 Braselton, Ga. (2 October 2015) – The 2015 IMSA Continental Tire SportsCar Challenge championship staged its final race of the season at Road Atlanta on Friday and Rum Bum Racing and the team’s drivers Matt and Hugh Plumb secured second in both the team and drivers championships. It capped off what has been an incredible season for the Florida-based Rum Bum Racing organization which won three races this year and claimed five podium results in 10 races. Hugh Plumb delivered several strong qualifying performances, earning a front row start five times. Further solidifying how well the Rum Bum Racing team prepared for each race weekend, the No. 13 Rum Bum Racing Porsche completed 95.4% of race laps this year which added to its remarkable accomplishment of 91.4% laps completed since the team’s debut in 2010. 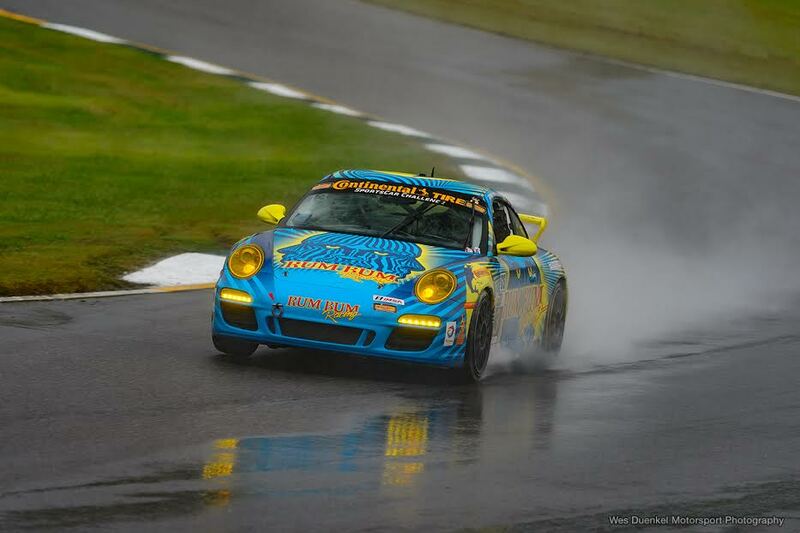 The season-finale Road Atlanta event brought heavy rain to the area, but with the weather radar showing that the rain would clear out during the race, Rum Bum Racing opted to start on slick Continental Tires. Unfortunately, the predicted weather did not come to fruition, and rain fell steadily as the race opened. Qualifying had been rained out and the grid was set by championship point order which saw Hugh Plumb open from outside of the front row on the slick Continental Tires. But as the GS class field frontrunners all ran on rain tires in the opening laps on what had become a very slick track, Hugh Plumb slipped to sixth as he struggled to find grip as the leaders were able to lap the track several seconds faster than he was. Following several long green flag runs accompanied by two caution periods, Matt Plumb took control of the No. 13 Porsche with just under an hour remaining. 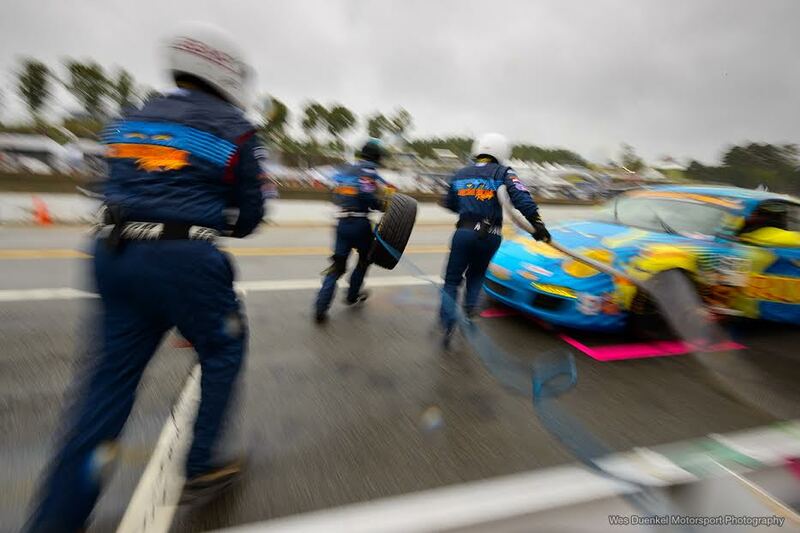 Unfortunately, the poor weather conditions created a debilitating fogging situation on the windshield of the Porsche which left Plumb constantly using a squeegee on the inside of the windshield in addition to driving the car just to be able to see the track ahead. The Rum Bum squad took advantage of a late-race caution with 30 minutes to go to bring the No. 13 Porsche to pit lane to clean the windshield and take on fresh Continental Tires. Plumb lined up 12th in the order on the final restart and despite the poor visibility, powered through to bring home ninth at the finish. Rum Bum Racing celebrated its season at the IMSA Continental Tire SportsCar Challenge Championship Banquet at Chateau Élan Winery & Resort Friday evening. This entry was posted in News & Stuff and tagged atlanta, bacardi, racing, rum bum, rumbum. Bookmark the permalink. ©2019 Rum Rum Racing™, All Rights Reserved.